Introduced with the Galaxy S8 and compatible with the new Galaxy Note9, Samsung DeX, the company’s ultimate mobile productivity solution, allows users to easily connect their Galaxy device to an external display to enjoy a PC-like experience powered entirely by their phone. Offering a simple setup and easy access to your phone’s apps and files, Samsung DeX allows you to transform virtually any place into a workplace. 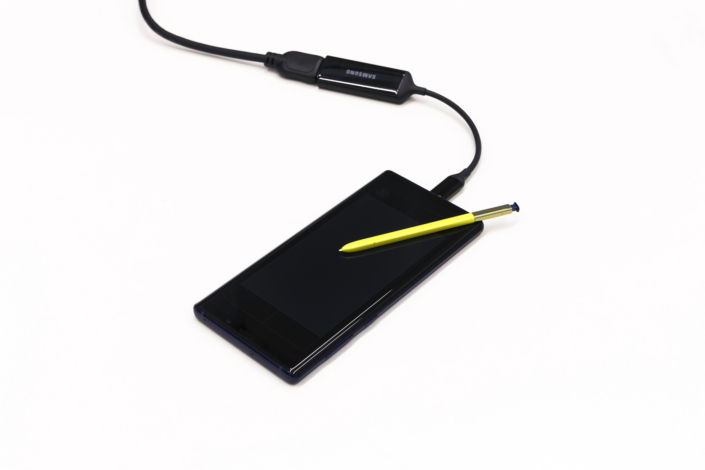 And now, thanks to the solution’s new support for easy-to-carry HDMI adapters, as well as its deep compatibility with the Galaxy Note9’s S Pen, mobile multitasking has never been simpler. Let’s explore how the Galaxy Note9 and Samsung DeX can help you become a productivity powerhouse. Samsung DeX offers an Android-based, PC-like interface that allows you to seamlessly access your phone’s apps, and adds comfort and convenience to viewing and editing documents and presentations, watching a favorite show or movie, mobile gaming, and much more. The interface is easy to navigate, supports keyboard and mouse gestures such as shortcuts, scrolling and dragging and dropping, and features a variety of optimized apps that allow users to get the most out of working on a larger display. The ability to effortlessly toggle between apps and view their contents on a bigger screen makes multitasking a breeze, and makes working on your smartphone more convenient and efficient. Your phone still functions as a phone when it’s plugged in, and calls, texts and settings are all accessible via the taskbar located in the lower right corner of your monitor. Convenience has always been key for Samsung DeX, which is why the solution offers a variety of simple ways to connect your Galaxy smartphone to a display and get down to work (or play). These include the previously introduced DeX Station and DeX Pad, as well as the solution’s new support for HDMI adapters*. To get started, simply connect your Galaxy Note9 to a monitor with one of those choices. It’s just that easy. The solution’s support for HDMI connectivity means that the HDMI adapters can be easily dropped in a bag, creating more opportunities to enjoy a PC-like experience at home, at the office, or on the go. Meanwhile, the DeX Station and DeX Pad support multiple screen resolutions (up to HD+ and WQHD) and open even more apps at once. With all choices, Samsung DeX is compatible with a broad range of accessories, including keyboards, mice, headsets and more. Pick the (right) one that best suits your needs and start enjoying a more productive and convenient mobile experience with Samsung DeX. Samsung’s latest flagship device has introduced exciting ways for users to utilize Samsung DeX to streamline more aspects of their day. 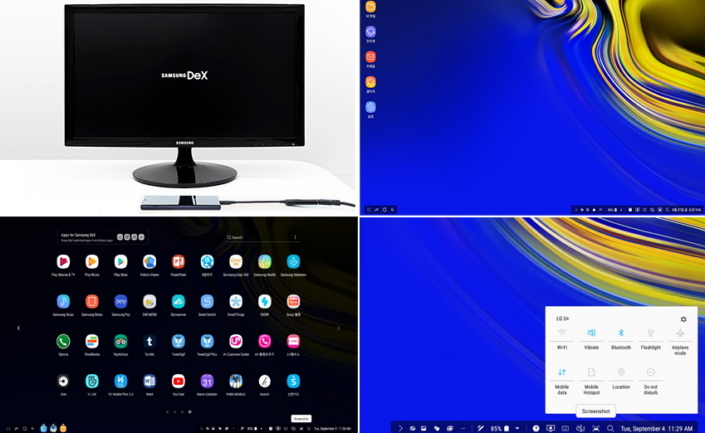 The Galaxy Note9’s newly added connectivity support for Samsung DeX enables users to enjoy a full Samsung DeX experience by simply connecting the smartphone to a display via compatible HDMI adapters. 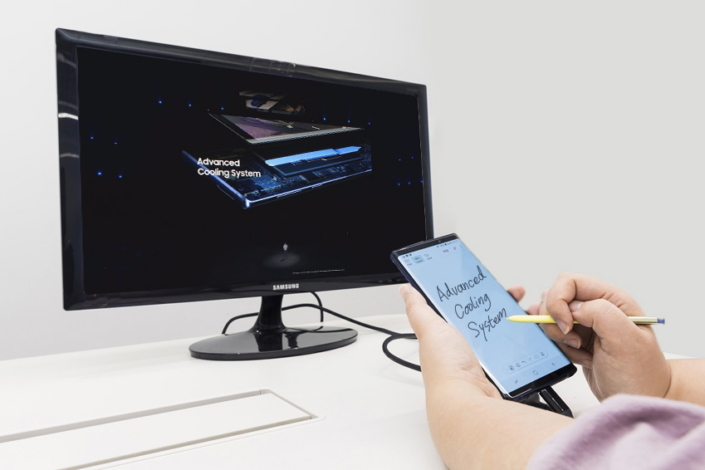 Samsung DeX’s new dual mode support enhances multitasking, allowing you to work simultaneously on your display and on your Galaxy Note9, so you can watch a video on the display while jotting down notes on your Galaxy Note9 with S Pen. 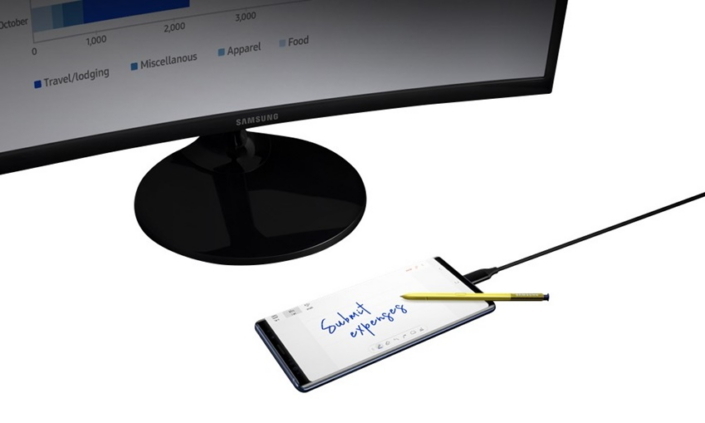 Samsung DeX on the Galaxy Note9 also lets you utilize the smartphone as a touch keyboard, touchpad, or a surface for drawing with the Bluetooth Low Energy (BLE) S Pen. Speaking of, the S Pen’s deep Samsung DeX integration allows you to access its full range of capabilities when using the solution. And with its new remote control capability, the S Pen also functions as a handy clicker for delivering presentations on Samsung DeX-connected displays. When Samsung DeX launched in 2017, the solution had almost 40 strategic partners. Now, that number has almost doubled. The company continues to work closely with their ever-expanding list of partners—including popular software such as Microsoft Office, Adobe, Blackberry, Hancom Office and many more. The service also includes support for virtual desktop infrastructure (VDI) solutions, including those from Citrix, VMware and Amazon Web Service. This means that Samsung DeX can enhance mobility for business users, such as financial institutions. 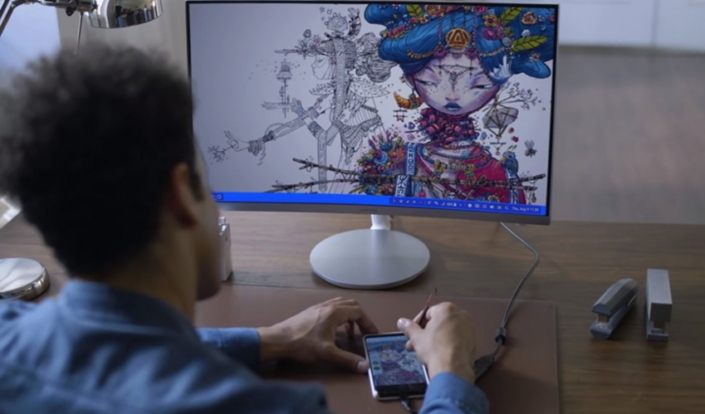 Mobile professionals can utilize Samsung DeX to enjoy PC-like experience that combines Windows and Android into one powerful productivity platform, and offers access to their Windows PC from virtually anywhere in the world. 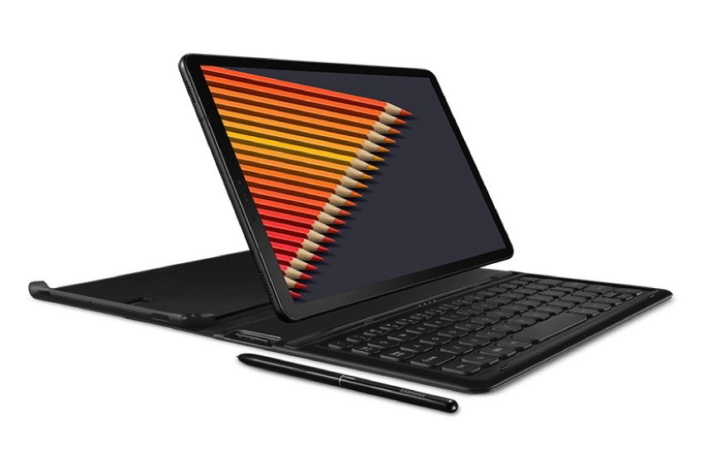 The list of Samsung DeX-compatible devices continues to grow, and now, with the Galaxy Tab S4, extends to tablets as well. Samsung DeX on the Galaxy Tab S4 can be accessed standalone, or the device can be linked to a larger display using a HDMI connection. Samsung DeX integration creates more opportunities for users to multitask efficiently, and helps cement the Galaxy Tab S4’s status as the go-to-tablet for mobile productivity. See for yourself how Samsung DeX and the new Galaxy Note9 can help you master multitasking. *HDMI support is currently available with the Galaxy Note9. Samsung’s HDMI adapters include HDMI Adapter (EE-HG950), Multi Port Adapter (EE-P5000) and DeX Cable (EE-I1300).